The Acquisition Information Assurance (IA) Strategy provides documentation that ensures that the program has an information assurance strategy that is consistent with DoD policies, standards and architectures, to include relevant standards. The Program Manager (PM) develops the Acquisition IA Strategy to help the program office organize and coordinate its approach to identifying and satisfying IA requirements consistent with DoD policies, standards, and architectures. 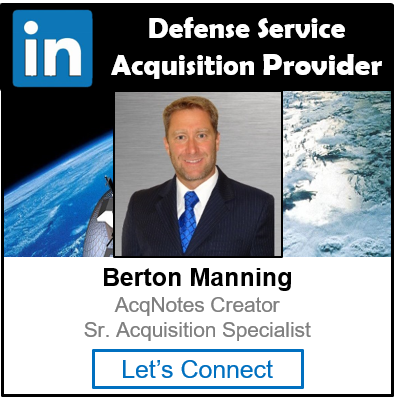 The Acquisition IA Strategy lays the groundwork for a successful C&A process by facilitating consensus among the Program Manager (PM), Component Chief Information Officer, and DoD Chief Information Officer on pivotal issues such as Mission Assurance Category, Confidentiality Level, and applicable Baseline IA Controls; selection of the appropriate C&A process; identification of the Designated Accrediting Authority and Certification Authority; and documenting a rough timeline for the C&A process. The Acquisition IA Strategy is a stand-alone document. Although other key documents can be referenced within the Acquisition IA Strategy to identify supplemental or supporting information, the Acquisition IA Strategy should contain sufficient internal content to clearly communicate the strategy to the reader. Configuration Control of the Acquisition IA Strategy should be maintained with respect to the program’s governing requirements document and the Information Support Plan (ISP). Acquisition Information Assurance (IA) Strategies must be submitted for approval and review in accordance with the Defense Acquisition Guidebook (DAG) – Table 7.5.9.2T1, which is based on submission requirements detailed in DoD Instruction 5000.02 “Operation of the Defense Acquisition System”, Enclosures 4 and 5. Address the Acquisition IA strategy in the program Acquisition Strategy.